This Addon for the Maiskolben gets you ready for full mobile use! 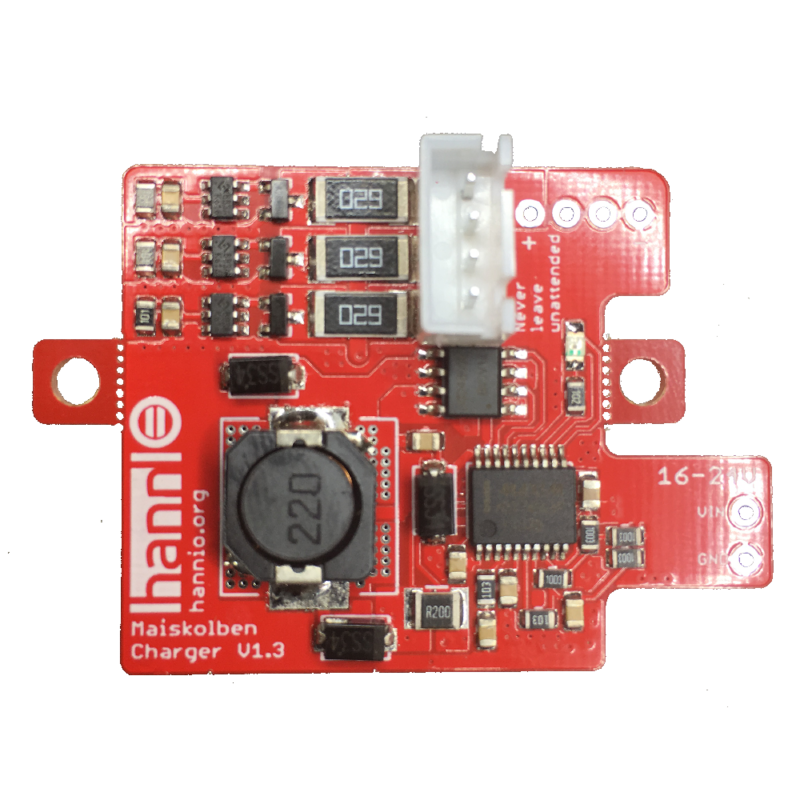 Plug your LiPo in, connect power supply, charge, disconnect power supply, work! No more hassle with external chargers, regularly unplugging the battery or anything like that. This product requires a Maiskolben (not THT) version 3.0 or newer. For older versions than 3.2 you may add an automatic shutdown circuit (described in GitHub Wiki). This product must be soldered to a Maiskolben.